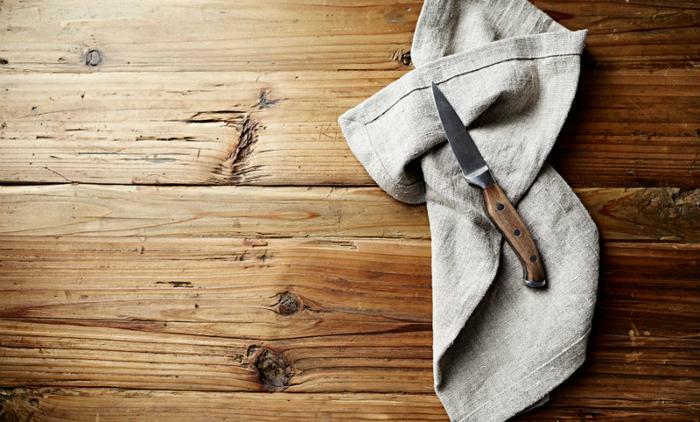 A new study finds that kitchen towels can harbor harmful pathogens that could potentially lead to food poisoning. Researchers from the University of Mauritius tested 100 kitchen towels that had been used for a month and found that 49 percent had bacterial growth. Of the 49 towels that carried pathogens, almost three-quarters grew coliform bacteria (a type that may include E. coli); 36.7 percent grew Enterococcus; and 14.3 percent grew staphylococcus aureus, a type of staph that can cause serious infections. These findings were presented at the annual meeting for the American Society for Microbiology, which concluded yesterday. The researchers said the amount of bacteria found on towels was influenced by several factors, including family size and the type of food consumed. Non-vegetarian diets were found to increase the risk of contamination by bacteria such as E. coli. Towels that were used for multiple purposes -- such as those used for wiping utensils, drying hands, holding hot implements, and cleaning surfaces -- also had a higher risk of contamination. Towels that were damp showed higher bacterial counts than dry ones, and S. aureus was more likely to be found on towels from bigger families and those of lower socioeconomic status. "The data indicated that unhygienic practices while handling non-vegetarian food could be common in the kitchen," said lead author Dr. Susheela D. Biranjia-Hurdoyal, a senior lecturer in the Department of Health Sciences at the University of Mauritius, in a statement. To keep germs from spreading, health experts recommend washing or changing kitchen towels, sponges, and oven gloves regularly and letting them dry before using them again. Using a solution of 1 tablespoon of unscented, liquid chlorine bleach per gallon of water to sanitize surfaces and utensils.